My pressure cooker really speeds things up. 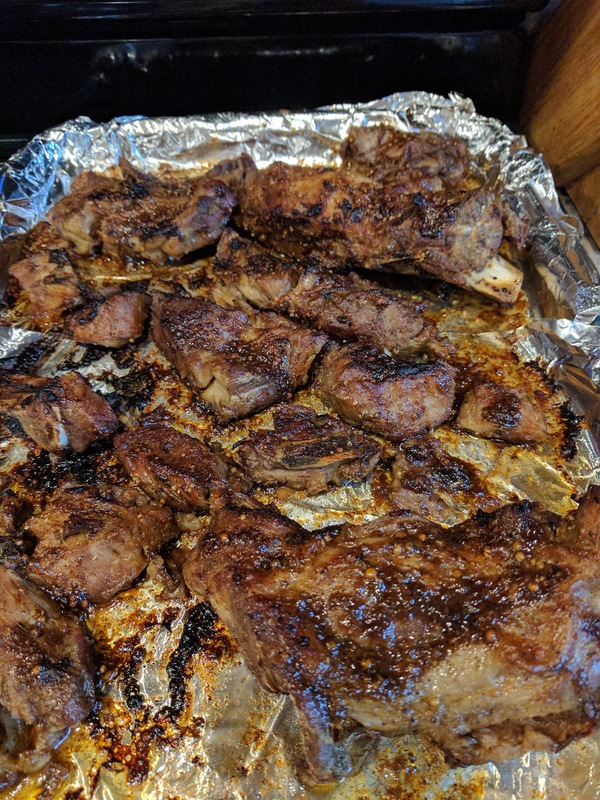 Instead of letting these braise for 2 hours in the oven, I popped them into my pressure cooker and they were done in a flash! Bring up to pressure and cook for 20 minutes. Let cool down on their own (15 minutes). Take meat out of the pot and put onto a foil lined pan. Baste with desired sauce. BBQ would be great. I decided to reduce the sauce from the pressure cooker and added in some brown sugar, mustard seeds, chili powder and paprika to create my sauce. Baste meat. 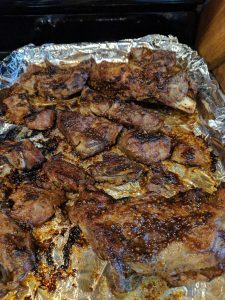 Broil meat for 10 minutes per side. Once browned enough, transfer to a serving plate and enjoy. Served with smashed red potatoes, cooked carrots, mushroom carpaccio and bread. It was a hit.